Accountants, are you visually, auditory or kinaesthetically preferred? You'll know by now that we each have a preferred thinking and learning style, from my recent articles. Click and download the list of indicators here: Visual, auditory, Kinaesthetic, which are you? . Switch on your conscious awareness for the next 48 hours. You are looking to pick up words and phrases you use in both domestic and business environments. Mark the list as you identify your habitual patterns. At the end of the 2 day period, review your data. You will discover your tendency towards one or more of the modalities. How can you best use your findings? 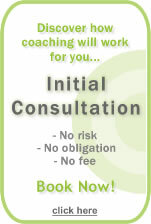 Contact me at info@theaccountantscoach.com to find out how coaching can help you leverage your individual style. Are you an adult, parent, or child accountant? Accountants get into the Groove! RHITG BRIAN OR LTEF BRIAN? WHAT A NO-BRAINER! Procrastinate? Me? Can't it wait?